Hooray to KU’s return to Australia after its more than 19,800km migration journey of 195 days to and from the breeding ground! 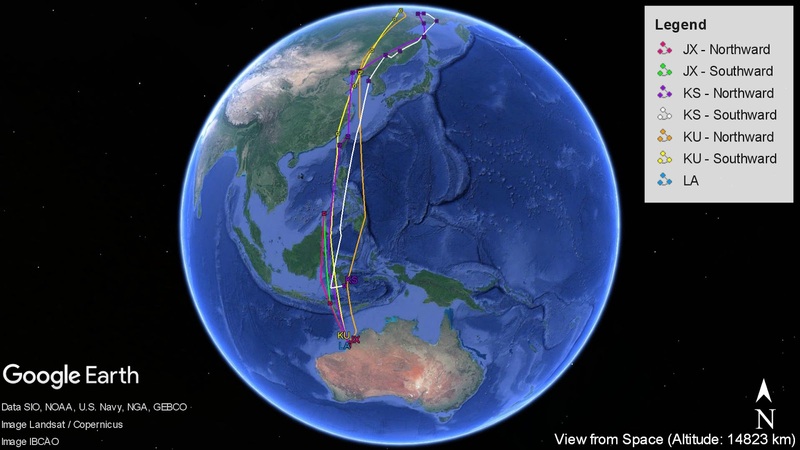 KU departed its breeding ground around mid-July, after making 3 stops in Northern China, Sulawesi in Indonesia and Timor-Leste, it arrived Australia Mainland on 29-Oct-17. 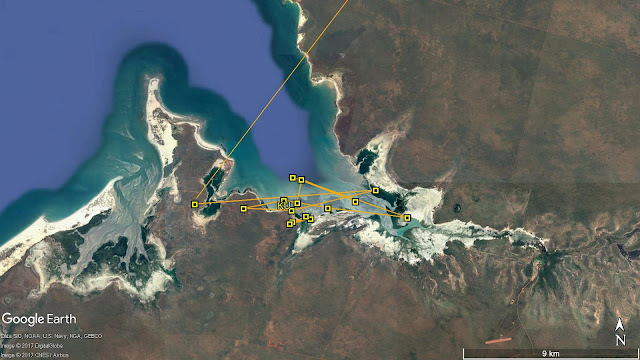 Instead of heading back to Roebuck Bay in Broome, KU chose to stopover at Dampier Peninsular near Beagle Bay. It will be very interesting to see if it will finally come back to Roebuck Bay later in the season. On the downside, we are very disappointed to confirm that we’ve lost signal from KS since late September. Based on the fact that transmissions from the satellite tag has been less constant in the final few weeks since KS arrived South-east Sulawesi, we do hope that it was the transmitter which failed rather than anything bad has happened to the bird itself. 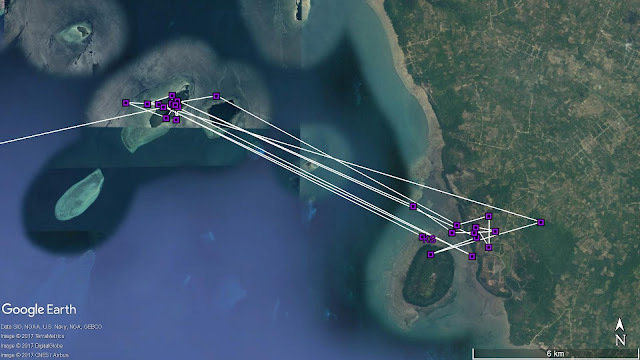 It is hoped that KS might be seen again in Roebuck Bay later this season to prove that it is safe. Meanwhile, JX and LA are still doing very well at Roebuck Bay and Eighty Miles Beach respectively. 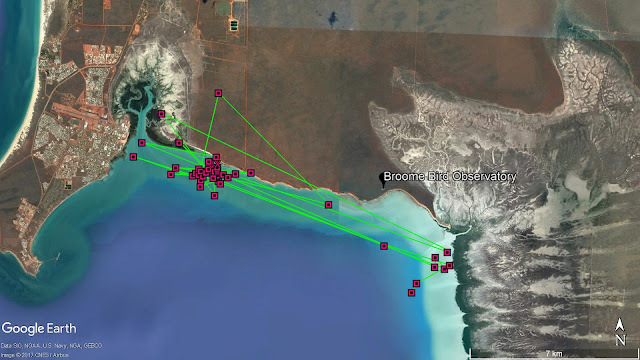 At Roebuck Bay, JX regularly utilizes the Dampier Creek, West Quarry and the saltmarshes south of Crab Creek. 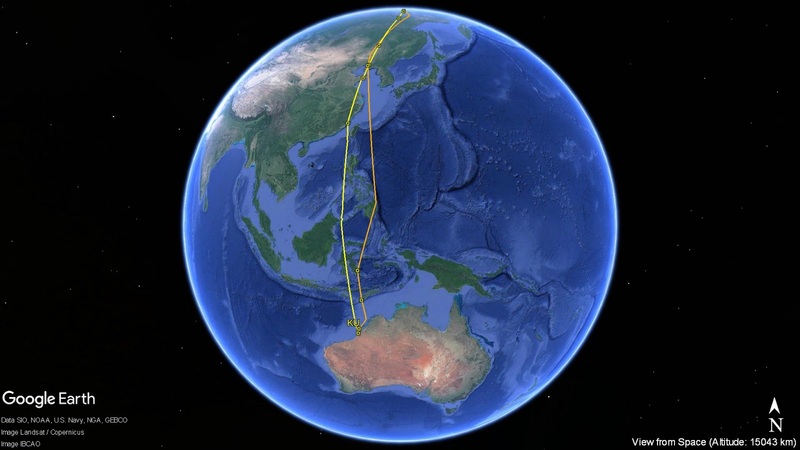 Amazing that it has managed to escape from birders’ eyesight since August. On the other hand, at Eighty Miles Beach, LA remains at its favourite patch of the beach 40-50km south of the Anna Plain station entrance.